Published by The Pentland Press. First edition 1994. 260 pages with plenty of photographs, illustrations and press cuttings. 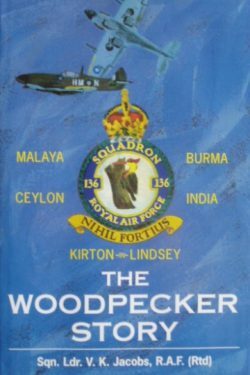 This is the history of the famous 136 Squadron known as, ‘The Woodpeckers’, from its formation at Kirton-in-Lindsey in 1941 under the command of Battle of Britain pilot Sqn Ldr TAF Elsdon through its posting to the Far East theatre where it served with distinction for 4 years until it was disbanded in May 1946. 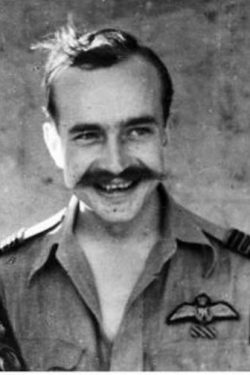 In its short life span, The Woodpecker Squadron became the highest scoring squadron in South East Asia Command Theatre of Operations being officially credited with over 100 enemy aircraft destroyed and a further 150 probables and damaged. An entertaining and very readable squadron history written by someone who was there. 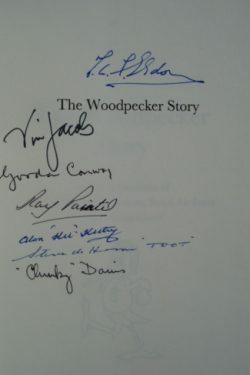 A great collection of signatures from the book launch including the rare Battle of Britain signature of Jimmy Elsdon.